This summer season we are featuring mindful vacation ideas for you and your family. Our Mindful Living Network travel series began with national parks, and this week we take a closer look at different kind of museums. Our nation has a lot of museums. In fact, according to the Institute of Museum and Library Services, there are over 35,000 active museums in the United States—that’s more than the current number of Starbucks cafes (22,519). The northern states have the most museums. However across the country you can find a variety of institutions dedicated to different interests and studies. Most of our museums are dedicated to historical societies, sites, and houses (48 percent), but there are also quite an impressive number of art, children, and science museums. Museums make great destinations for mini-vacations. Visiting neighborhood museums is a great opportunity for expanding your knowledge about your local community. And if you decide to travel out of state this month, consider adding at least one museum to your itinerary. This year has been a time of great division in our country, so consider visiting museums the promote tolerance and unity such as the National Center for Civil and Human Rights in Atlanta. There’s also the Museum of Tolerance in Los Angeles, which uses multimedia to study racism and prejudice. Lastly, with the presidential elections coming up consider visiting a presidential library and museum such as John F. Kennedy’s in Massachusetts or Ronald Reagan’s in California. Your local museums will have tons of programs and activities designed for young kids. There are also a lot of interactive museums designed just for kids such as the Boston Children’s Museum, which has a hands-on art studio, a kid-sized theater, and exhibits dedicated to educating children about “green choices.” There’s also The Strong, which has a toy of hall of fame and a dance lab as well as a temporary Sci-Fi exhibit. 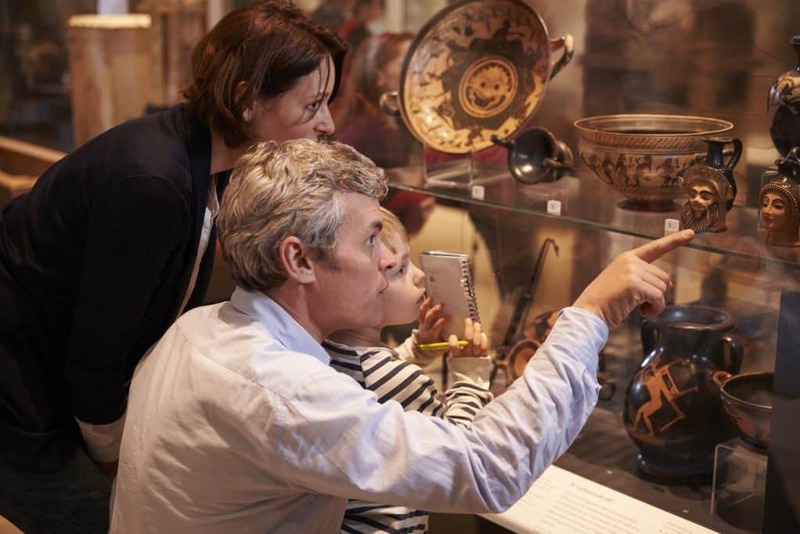 Want a museum that will interest teens? Consider Seattle’s Experience Music Project (EMP) Museum, which has exhibits dedicated to contemporary pop culture such as horror films, indie video games, and science fiction. Looking for a mini vacation away from the kids? Some museums host adult-only events or sleepovers with special tours, dinners, and entertainment. For instance, the American Museum of Natural History hosts an event called “A Night at the Museum” with live music, dinner, drinks, and live-animal exhibitions. And the Natural History Museum in Los Angeles has “Adults-only All-Nighters” which includes ghost stories, trivia, dancing, beer, movie screenings, and of course, tours.